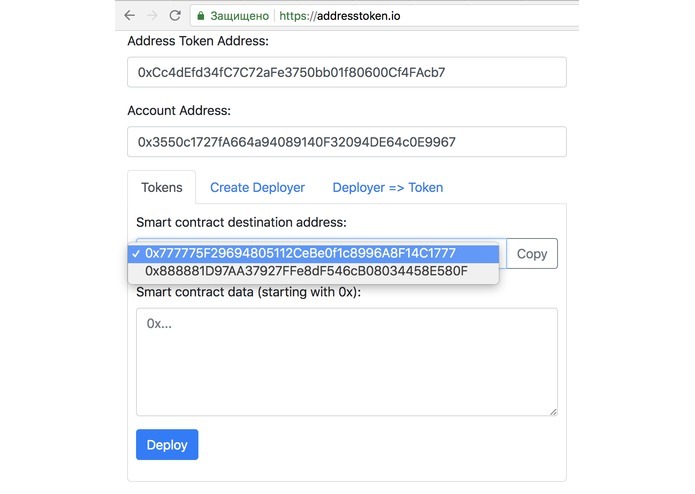 Recently worked on Dapp for split-key address generation on smart contract with Vanitygen - 1Address.io and came up to idea implement tradable smart contract addresses. 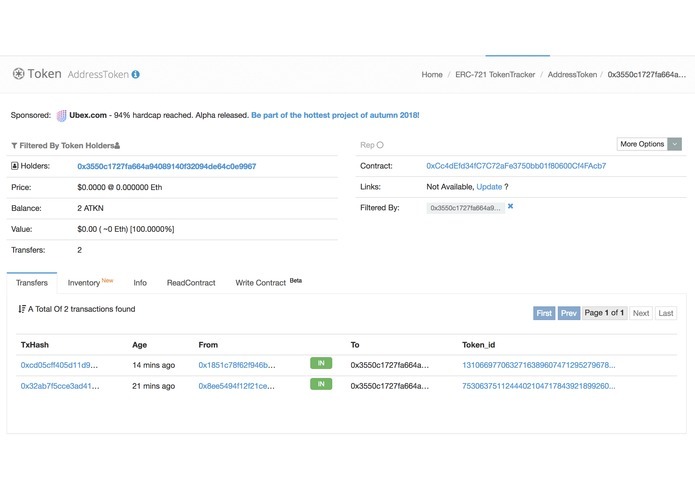 Anyone will be able to generate nice addresses and trade them on ERC721-compatible decentralized exchanges. ERC721 token, each of which allows deploying arbitrary smart contract to specific address. ERC721 compatibility and protection from wide range of attacks. Etherscan.io have enough bugs - already reported at least two. First time used ERC721. Will wait until CREATE2 feature released in Ethereum mainnet to reduce gas consumption. Going to upgrade token to the new version by approve/transferFrom to new token contract. Hola! You have ERC721 token on this wallet. Smart contracts with some tests.